London, May 14 (IANS) Chelsea head coach Antonio Conte has insisted that it will be important to keep key footballers of his English Premier League (EPL)-winning squad as he seeks further improvement next season, especially with an eye to the Champions League. With the capital club proving successful in England, several stars are on the wishlist of top European clubs. While ace striker Diego Costa’s future is uncertain, forwards Eden Hazard and Willian are reportedly wanted by Real Madrid and Manchester United respectively. Seasoned midfieder Cesc Fabregas too has been linked with a move to AC Milan in the summer, as Nimanja Matic has a lot of interest in the market. The Spanish defensive pair of Cesar Azpilicueta and Marcos Alonso have been linked with a couple of their native clubs. Goalkeeper Thibaut Courtois is also reportedly on the radar of Real Madrid, if the record European champions fail to sign David De Gea from Manchester United. These were the core group of players riding on whom Conte raced to EPL title in his first season in England and now as he eyes future, he hopes not to lose some of them. “I think the club wants to fight to win every competition and we have the same ambition. 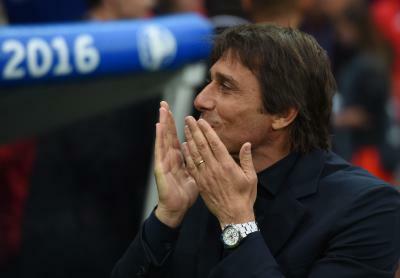 For this reason we will try to keep the best players,” the Italian tactician told Chelsea’s website on Sunday. “If we continue they can improve a lot because now they know my ideas and I know them, and their characteristics, so we can improve,” the 47-year-old added. Having won the EPL title with two matches to left, Conte now has his eyes fixed on FA Cup final, to be played against Arsenal on May 27. “We have to work in training to prepare in the right way for these two games against Watford and Sunderland, and then prepare for the FA Cup final. We have the opportunity to win the double and we must be ready to do this,” the Juventus legend said.